On February 8th, 2013, DOCM (Deaf Open-Caption Movies), watched the movie Identify Theif for it’s 11th Deaf event. This is the last time that Joe Cepeda will host the DOCM event because on February 16, 2013 he is moving to Canada to take care of his wife’s terminal illness . 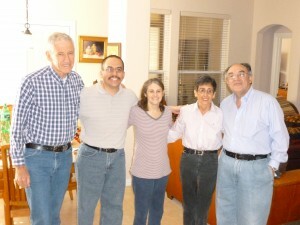 He will be greatly miss for the San Antonio Deaf Community. Michael Razzen and Nikki Scene will take over Joe’s role with the monthly DOCM events. 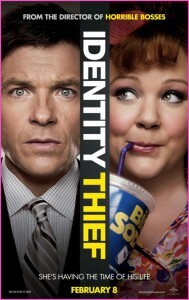 In this movie, Jason Bateman playing Sandy Patterson, is a businessman in Denver. Melissa McCarty plays Diana, who was stealing Jason’s identity. Sandy had to traveled from Denver to Miami to find Diana to unveal why she was stealing his identity. Identify theft is a serious crime. How can someone avoid identify theft? First, contact your local police and file a report about the identity theft. Second, contact your bank and credit card company to report a theft alert. Third, contact one of the three credit bureaus immediately (Equifax, TransUnion and Experian) to report fraud alert and security freezes on your credit reports. I encourage you to double check on your online accounts to see if you have been hijack on your accounts then change your passwords for high security. More info to protect yourself from identify theft in US at www.privacyrights.org/fs/fs17a.htm. Special thanks to DOCM fans and the Deaf Community in Brandon Arceneaux, CEO of Alamo Drafthouse Cinema and Liz Burtz, Director of Special Events. We applause Michael for all his hard work with creating, making and promoting our monthly DOCM flyers at the San Antonio College Interpreter Program and Facebook since May 2012. Thank you Brandon & Liz for your support to the Deaf Community! A friendly reminder, all of our DOCM events are on Facebook. Once logged on, you can view the selections offered and vote. If you are new, you can create a username and password, then join the fun. Please log onto Facebook and type in DOCM for the vote poll. If you have not signed up, please do so. Once signed in, you will be able to read the posts and vote. We look forward to seeing everyone again at the 12th DOCM event in March 2013. On January 19th, 2013, DOCM (Deaf Open-Caption Movies), viewed “The Last Sand ” for it’s 10th Deaf event. DOCM event relocated at the Park North for the first time because we received the most votes from the Deaf Community for the best preference location. Arnold Schwarzenegger was the actor and acted as Sheriff Ray Owens in a town called Sommerton Junction nearby the Mexican border. Sheriff Owens and his team’s goal was to captured the international drug lord, Gabriel Cortez. Gabriel escaped from the FBI custody and drove his Chevrolet Corvette C6 ZR1 at a speed over 200 mph. Can Sheriff Owens and his team capture or kill Gabriel Cortez in Sommerton Junction? 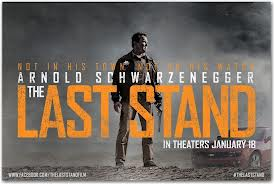 This film had lots of great actions including gun fights and Arnold did a outstanding job as Sheriff Owens. Special thanks from DOCM and the Deaf Community to Brandon Arceneaux, CEO of Alamo Drafthouse Cinema and Liz Burtz, Director of Special Events. Their assistant has made the event very successful. Thank you Brandon & Liz for your support to the Deaf Community! As we start for new year in 2013, we applause Michael for all his hard work with creating, making and promoting our monthly DOCM flyers at the San Antonio College Interpreter Program and Facebook since May 2012. We know we would not have been so successful for informing the community about our monthly movie events if it wasn’t for you. Thank you! We look forward to seeing everyone again at the 11th DOCM event in February 2013. Happy New Year! Carole Cepeda was diagnosed as Angiosarcoma, a rare liver cancer, on January 5th, 2013. Her primary doctor told her that she has 6 months to live. There is no cure for this cancer. She is fighting to survive and seeking advices for help. We are asking disciples around the Kingdom to prayer that God will heal her and He can perform a miracle making her cancer-free. I love my wife very much and I am so grateful that we have been married for over 7 years. My wife taught me how to be gentle to her and others. We are going through difficult times. I am grateful to be humble and open to disciples, sharing how I have been feeling about my wife’s terminal illness. Carole has inspired the Deaf Ministry around the world and been a spiritual support and encouragement to the brothers and sisters in the Kingdom. The Hobbit is the prequel to the Lord of the Rings trilogy. While the book was originally one volume (as opposed to the three Lord of the Rings books), director Peter Jackson decided to divide The Hobbit into three separate movies. So how was the first movie of the trilogy? Fantastic! 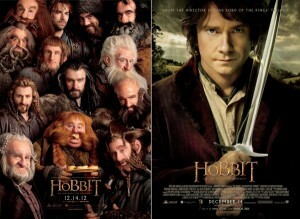 The Hobbit is filled with action, adventure, and 3D animation that you can find in the Lord of the Rings movies. The film certainly ranks up among the other top action movies of the year: The Avengers and The Dark Night Rises. The plot was a bit more childish than the former three movies, but the adventure was equally thrilling. As always, the graphics were stunning. As we close 2012, we would like to give one more special thanks from DOCM and the Deaf Community to Brandon Wheeler, Manager for Alamo Drafthouse Cinema Stone Oak. Brandon has been a huge part of our events all year long. His tremendous support for the deaf community has been a blessing to us. Brandon, you are and will always be awesome in our eyes. Thank you! Also as we close the year 2012, we applause Michael for all his hard work with creating, making and promoting our monthly DOCM flyers at the San Antonio College Interpreter Program and Facebook. We know we would not have been so successful for informing the community about our monthly movie events if it wasn’t for you. Thank you! Important News: The monthly DOCM movie events has been relocated to another theater. The new location will be at the Alamo Drafthouse at the Park North. Friends in the Deaf Community suggested to Joe and Michael that this would be the best theater. Lately the movies have been sold out, and this theater is bigger! The more people come, the merrier the events will be. We will love to see our events to expand. So please be aware of the new change starting in January 2013. A friendly reminder, all of our DOCM events are on Facebook. Once logged on, you can view the selections offered and vote. If you are new, you can create a username and password, then join the fun 🙂 Please log onto Facebook and type in DOCM for the vote poll. If you have not signed up, please do so. Once signed in, you will be able to read the post and vote. We look forward to seeing everyone again at the 10th DOCM event in January 2013. Merry Christmas and Happy Hanukkah! I am writing to encourage Deaf Ministry ICOC family and disciples in the Kingdom to sign the ASL (American Sign Language) petition to support from the Deaf Community for allowing the White House to pass the law for ASL to become a official language and no longer considered as a foreign language. White House need about 8,290 to get the total of 25,000 signatures by Wednesday, December 12, 2012. Let reach that goal before the deadline then the Deaf Community will celebrate this special moment in history. How did you do on the last 14th Deaf Trivia (dated 10-29-12)? Did anyone answer all of questions correctly? Are you ready for the next Trivia today? 1. On the article dated 11-19-12, what was name of the movie for the 8th OC Movie event? 2. On Reaching Jennifer’s article, Rose Beauvoir’s sister, Jennifer went to the American School for the Deaf. 4. When and where did James Foster begin his interpreting career? 5. When was Michigan School for the Deaf opened? The answers will be shown on the next 17th Trivia on December 31st, 2012. Good luck! On November 16th, 2012, DOCM (Deaf Open-Caption Movies), had its 8th movie released! 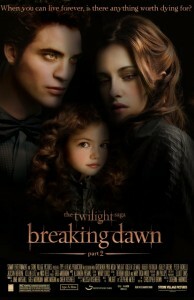 This month was Twilight: Breaking Dawn II and guess what? It was sold out! We are not surprised. Once again for the last time, actor Robert Pattinson (Edward) and Kirsten Stewart (Bella) did an outstanding acting job. The movie kept the audience on the edge of their seats watching the vampires and wolves teamed up against the Volturi. This was packed with lots of actions. While the movie was open-captioned, the audience had THX sound system that allowed the audience to feel included. If you did not attend, you missed out on another great film this month of November 2012. Our special thanks from DOCM (Joe Cepeda and Michael Razzen) and the Deaf Community to Brandon Wheeler, Manager for Alamo Drafthouse Cinema Stone Oak. Brandon has always and continues to been a great support to the Deaf Community on a monthly basis. Without him, the event would not have happened! Michael also continues to do his amazing job to create and promote our monthly DOCM flyers at the San Antonio College Interpreter Program and Facebook. As usual, to Brandon and Michael, you both ROCK!!! Great news! DOCM has three movies to select for the month of December 2012’s 9th film event! The movies are: The Hobbit which will be for December 14th; Jack Reacher on December 21st; and Django: Unchained on December 28th. Please log onto Facebook and type in DOCM to vote. If you have not signed up, please do so. Once signed in, you will be able to read the post and vote. The deadline date to vote is Saturday, December 1st, 2012 by 5pm. Once the votes been counted, DOCM will announce the winner. How can can you vote? Go to the Facebook website, type DMOC and vote. You can only vote for one movie. We look forward to seeing everyone again. Have a safe November and enjoy Thanksgiving! How did you do on the last Deaf Trivia (dated 9-24-12)? Did anyone answer all of questions correctly? Are you ready for the next Trivia today? 1. On the article dated 10-15-12, what was name of the movie for the 7th OC Movie event? 2. Ivan Strean & Jermaine Cornish preached the Word of God at the Annual CSU Northridge Deaf Service on Sunday, October 14, 2012. 3.Where is the Deaf West Theatre located? 4. How old was Johnnie Ray (American singer) when he became deaf? 5. What do you call the condition where the person suffers from progressive hearing and vision loss? The answers will be shown in the 16th Trivia on November 26th, 2012. Good luck!